Groups don’t need to break the bank to have a great time in Bucks County! Take advantage of these fun and free activities. • Start your group tour at the Bucks County Visitor Center in Bensalem to view the Creative Bucks County exhibit, a tribute to local artists, writers and thinkers. Wander the theater and view paintings from local artists in the Visitor Center’s rotating art exhibit. • Get outdoors! Reconnect with nature at Bucks County’s more than 7,500 acres of across 16 county and state parks. • Attend one of the many spring, summer and fall festivals at Peddler’s Village including Strawberry Festival, Apple Festival and the village’s newest, Blueberries and Bluegrass. 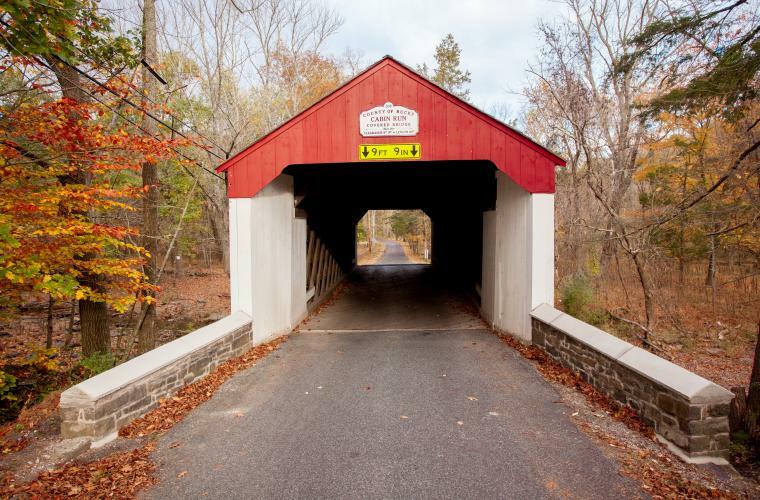 • Explore the back roads of Bucks County with a Covered Bridge Driving Tour, or take a scenic drive along River Road, a stunning country road in Upper Bucks County with breathtaking views all year long. • Make a pilgrimage to one of Bucks County’s stunning religious shrines for personal reflection, like the Bryn Athyn Cathedral. • Window shop along the main streets in Doylestown, New Hope, Newtown and Quakertown.